What Will Buying a Property Be Like in 10 Years Time? Rob: In today’s question, we are going to be looking at, what will property look like in 10 years time? I appreciate that this is a fair vision, into the future, Marshall. What do you think? How do you think property transactions are going to happen? What do you think the property market, even from a homeowner’s perspective, is going to look like, as we move forward? Marshall: It’s very hard to see 10 years in the future, given the changes we’ve seen over the last ten years. Ten years ago, we didn’t have iPhones, we didn’t have Wi-Fi in every coffee shop. Very big changes. I think, one thing, we can look back at, is the long-term, wealth-protection nature of property investment. So, if you look back 20 years and chart an investment in property versus other classes of investments, property has, actually, done very well. It has been very stable, with a couple of shocks but in general, it has always recovered over a long-term period and has been less volatile than other types of investment. I think, looking forward 10 years, that property will continue to be a solid area to invest in and give, generally, good returns and also inflation-protected returns because much of the value in property has to do with the rents, rents are to do with salaries and salaries are to do with inflation. So, that will make sense. 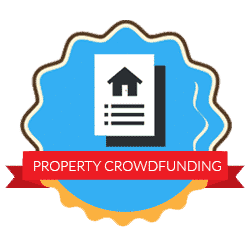 From an aspect of how do you invest in property or how do you transact property, you would expect me to say this but I think, crowdfunded investment will become a very standard and logical way for people to invest in property. Regarding actually buying property to live in, I think, there will be some advances in the conveyancing process. Rob: It seems an obvious industry to improve, in terms of efficiency and speed. Marshall: It does. 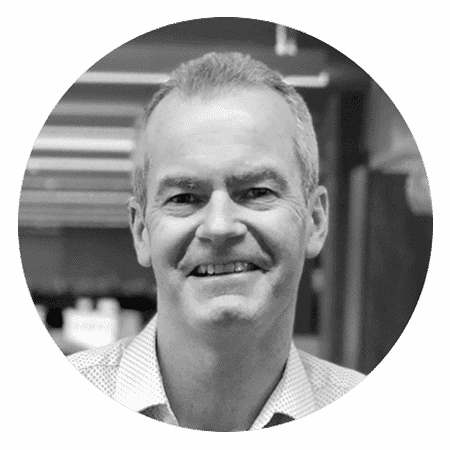 One of my previous roles was in the property data industry, with a lot of exposure to the actual process of conveyancing and gathering information, to make the right decisions. I think that process, which now takes several months and involves chains of properties and mortgages and everything, will become a lot easier and a lot slicker and a lot of it will happen online, through apps and in a way that makes it more customer friendly. People talk about how blockchain might work in property and about how ownership of property will be on the blockchain as opposed to on the Land Registry. For my part, I see that the issue is not really about understanding who owns each piece of property, that is quite well sorted. The issue is understanding the risk of acquiring a piece of land or a piece of property and what due diligence needs to be done to make sure that you don’t spend money on something that isn’t worth what you think it’s worth. Rob: Physically being on the ground and having a team and the expertise. Marshall: Yeah, the work behind it but I think, If you chart the conveyancing process from the outset, right through to the end and all the flows of information, back and forth, between the lawyers and mortgage companies and data companies and buyers and sellers, that part of it will become a lot slicker and will all happen online. Rob: Do you think we will see transactions happening within weeks or days, rather than months? Marshall: I think it is definitely possible and in certain cases, today, you have companies that acquire properties in days. If they are comfortable with the risks they are taking then that’s okay but for an individual buyer, when it is a significant part of your wealth, you generally want to make sure you are getting what you pay for. So, buyer beware. Rob: Interesting times ahead. Thank you very much, Marshall.